The New Way to Create and Keep a 'Success Based' Morning Routine. ​Wake up for Fajr ​Everyday, Well rested and Ready to Start your Day..
​​What if you could start ​& ​finish each and every day intentionally and positively? “The worship of the heedless is a habit, and the habits of the righteous are worship” - Sayings of the scholars. 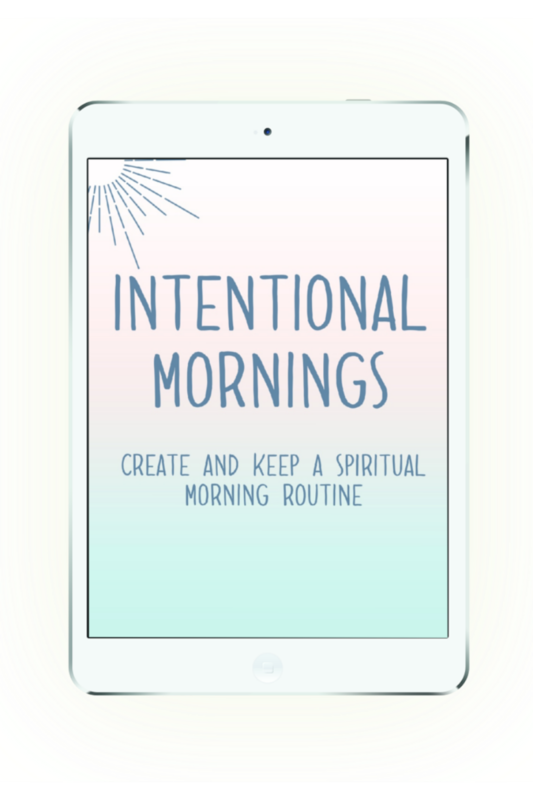 Intentional Mornings is the morning routine play book for ambitious muslimahs who want to create a specific morning routine geared toward spiritual fulfillment and self discovery while achieving their goals. ​You want to wake up for fajr, full of energy and ready to start your day. You are a ​Stay at home or Work from home muslimah. ​​You are a muslimah who loves the Sunnah of the ​Prophet (​salalaahu alaihi wasalam). You want to intentionally wake up inspired and motivated. You want to be more productive and have more energy in the early hours. You want to develop positive habits that enrich your lifestyle and support your goals. You want to live a balanced and spiritual life that fills your soul. You want to not only create but also have an accountability system that keeps you on track. You don't belief in making small but consistent changes. ​That as a mother, you have two choices 1. stay awake after you put your kids to sleep to focus on your goals and carve out some 'me time' or 2. you can go to sleep earlier and wake up before your kids to focus on your spiritual and personal goals. You will learn why the second option is better for your health and well being. ​You will learn why and how to stack habits ​instead of starting new habits. ​​You will learn ​how to turn habits into worship (Inshaa Allah). ​Read the E-book on your iPad and fill in the ​Workbook on there too. 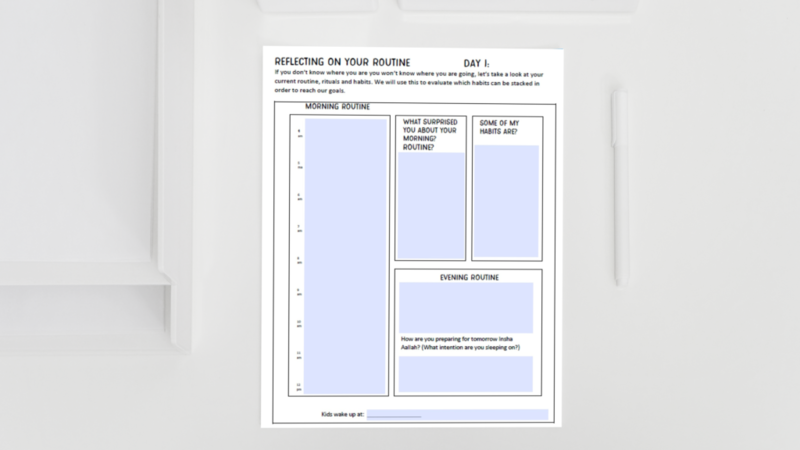 Only print the​ worksheets that you need on a daily basis to keep track of your progress. ​There is no point in starting something only to give up on it after a while. That is why we belief in 1. Educating yourself. 2. Acting on what you learned and 3. Develop healthy habits and do them every single day. ​Keep track of your progress. I​f you don't know where you are, you won't know where you are headed. Start by evaluating your routines and habits and look back to see how far you have come. ​Having a morning routine has many health benefits that can increase your quality of life ​as well as reduce anxiety, stress and overwhelm. ​The 30 day journal that's included in the workbook allows you to reflect on all the areas in your life. 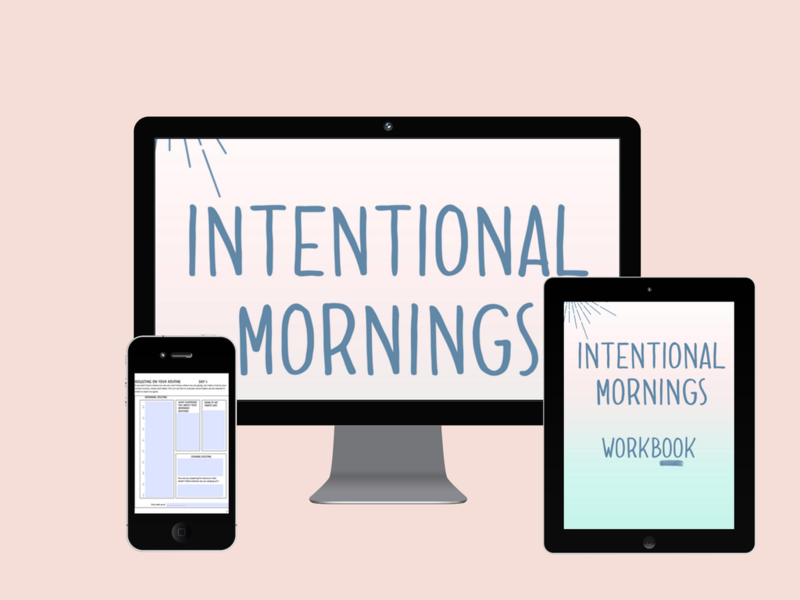 Get instant access to our ​Intentional Mornings now! ​The goal of Intentional Mornings is to give you the practical steps that you can use in your daily life. You will be blessed with approximately 25,000 mornings in your adult life, how will you use it? As a 'beta' tester I had the chance to use and implement some of the concepts and ideas. Changing and creating new habits is not easy, so you have to be motivated by your goals and intentions. It's only been a week but I can see drastic change in my life, I no longer look at how much others are achieving I am now focused on my own progress. Waking up before the kids has given me time to focus on all the important yet most neglected areas in my life. I know the importance of having a morning routine, I also knew I was very productive on the days I woke up early but I struggled with finding the motivation to do it every morning (especially when I don't have to). In the book there are strategies discussed that help you not focus on the motivation but intention and this small change has helped me wake up every day so far. I​ wasn't anticipating that I would feel so much happier by waking up early​ and doing all the things that I always say I don't have time for like exercise. You will get the E-book that walks you through the theory and the Step by Step Workbook. ​For digital books—within 14 days of the original purchase of the product. 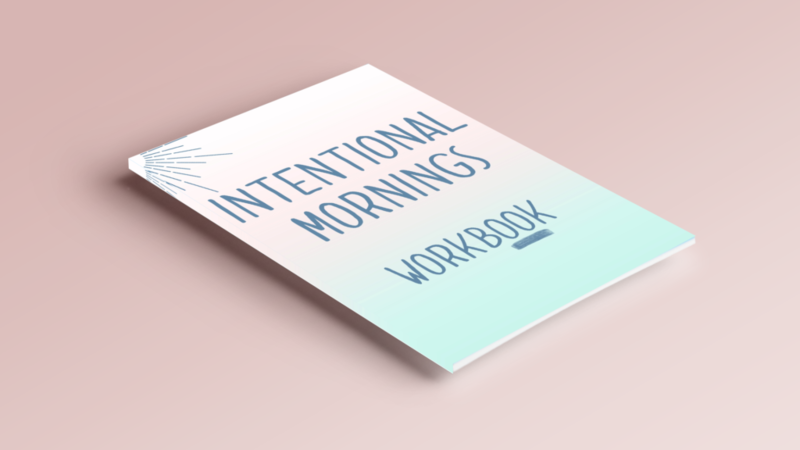 ​No, Intentional Mornings is a Digital ​E-book and Workbook. ​Can I use the book​? I have a newborn. ​It's hard to have a routine with a newborn, while you can buy it now and slowly go through it. You will have to wait until your baby has a more predicatble wake and sleep times. ​​​​How can I print some pages and not all? ​Can I buy this as a gift? 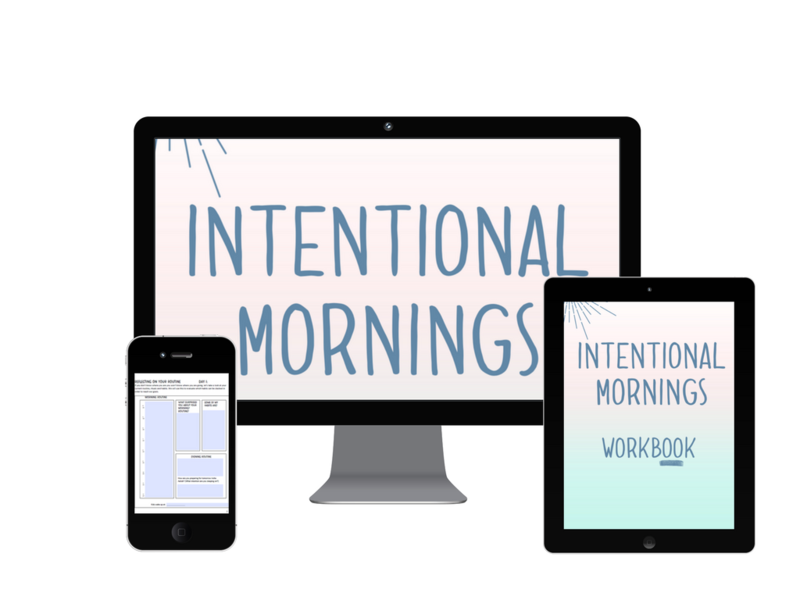 Get instant access to ​Intentional Mornings now! SORRY! You have missed the PRE-LAUNCH deal.